Coupon Swaps 2/16 and 3/16! Happy snow day! It's been a long time since I've felt as though I've been able to post here, but I am preparing to return to blogging very soon! In the meanwhile...mark your calendars: Coupon swaps will resume this coming Saturday Feb 16th and then Saturday March 16th at West Acres from 10-12 in the Food Court. Anyone is welcome to share coupons or just to visit! I've missed you! I apologize for the long absence, but I'm looking forward to sharing deals again soon! On a side note, I have had some issues with blogger, where my website is currently located. Until my new site is running, I'll be sharing deals over at the FM Cheapskate Facebook page. Even if you aren't on Facebook, you should still be able to view and click on links to see deals. 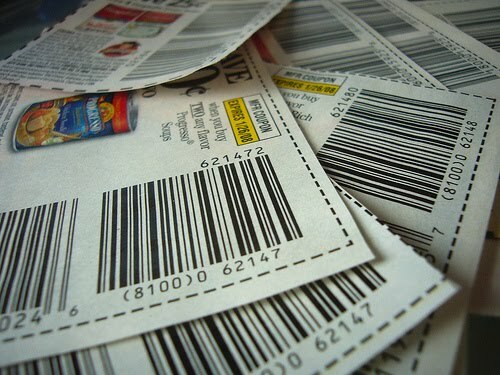 Look for 3 coupon inserts in the Star Tribune this weekend, a SmartSource, a Red Plum and a Pepsi insert! If you can get out today, the Saturday Minneapolis Star Tribune only costs $1 and has all 3 inserts! The Sunday Star Tribune costs $2, or look for the St. Paul Pioneer Press sold in MN for only $1.50 on Saturday and Sunday, though the inserts can be a bit different than in the Star. Head over to see the full preview over at the Sunday Coupon Preview! $10 at Cherry Berry in West Fargo for $5! 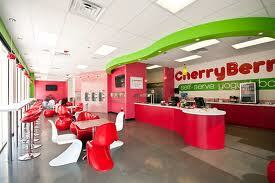 Through tomorrow, Tuesday 7/17, get $10 to spend at Cherry Berry for $5 at FM DiNiNG! You can redeem this at the West Fargo Cherry Berry self serve yogurt bar through 1/30/13 but must purchase it by 7/17/12! Maxwell's Offers: FREE $25 Voucher and Dessert! For a limited time when you sign up for email from Maxwell's, get a FREE $25 voucher by email! Voucher is valid on the purchase of an entree, not valid with other offers or on brunch. And, check in at Maxwell's on your mobile phone in July, tag a friend on Facebook and you'll get a FREE dessert with purchase of an entree! JCP Salons: FREE Kids Haircuts in August! Kids entering grades K-6 are able to get a FREE haircut at JCP Salons during the month of August. Book early to get an appointment! And remember even if the haircut is free, it's still appropriate to tip your stylist! Look for just 1 coupon insert in the Star Tribune this weekend, a SmartSource insert. The Sunday Star Tribune costs $2, or look for the St. Paul Pioneer Press sold in MN for only $1.50 on Saturday and Sunday, though the inserts can be a bit different than in the Star. 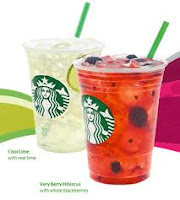 Head to your local Starbucks store for a FREE 12 oz Starbucks Refresher between 12 and 3 PM on Friday 7/13! Limit 1 per person, no coupon or other purchase necessary!